The Customer hereby agrees to the Bin Cleaning Packages in the manner provided online as offered by The Bin Butlers Pty Ltd (‘The Bin Butlers). The Customer hereby agrees to the terms and conditions and upon acceptance the Customer agrees to pre-pay the nominated sum for their selected Bin Cleaning package of choice. The Cleaning Fees (‘the cleaning fee’) and multiplied by the number of cleans and/or other services performed by The Bin Butlers on a package basis. The Customer shall pre-pay the cleaning fee to The Bin Butlers in the manner provided online, in a manner provided online, as advertised by The Bin Butlers website, by way of acceptance to an Application or any other electronic means nominated by the The Bin Butlers. The Customer will pre-pay their agreed sum to The Bin Butlers for their selected Cleaning Package . This payment is pre-paid and as such no cash sales will be accepted by The Bin Butlers. In consideration of the payment of the cleaning fee, The Bin Butlers agrees to clean for the Customer the number of Bin/s listed in the Bin Cleaning Package and at the frequency shown online. The payment methods accepted online are by Master Card, VISA or Debit Card. The Customer will assume full responsibility for the payment method made online and the card utilised to make such payments. The Bin Butlers does not assume any risk of liability for the Customer agreeing to a transaction. As such, The Bin Butlers reserves the right refuse a refund once the terms and conditions are agreed to. It therefore agreed the Cardholder assumes responsibility for such payments made. This Service Agreement passes to any new owners or occupants of the premises, unless notice is received by The Bin Butlers in accordance with Clause 7. The Customer agrees that if in the event the Customer re-locates, the Service Agreement will not follow the Customer to a new location. Any refund in these circumstances, which falls outside of the notice period, will ultimately be at the discretion of The Bin Butlers. 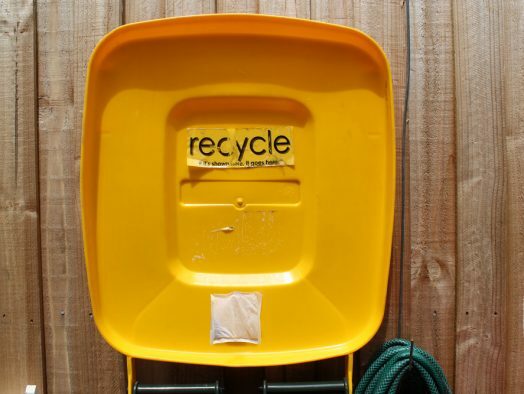 It is the Customer’s responsibility to provide access to Bin/s on premises and access to premises so that The Bin Butlers is able to complete the service on the day of service. The Bin/s must be located at the front of the premises without any restriction to access of the Bin/s. That is, the Bin/s will not be behind a fence, gate, in an area where an animal is located or any other circumstances which will unreasonably prevent access. Therefore such access must be without restriction. If in the event the service can not be complete on the service day of cleaning and in the circumstances described, monies will not be refunded for a ‘missed’ clean. It is a further responsibility of the Customer to ensure that their Bin/s are located on their premises as described in the Customers details upon registration. 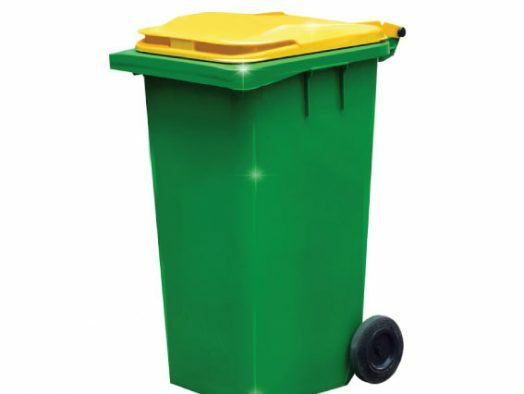 The Bin Butlers will assume that if the Bin/s are not marked with the Customers address number, then the Bin/s on the premises are the bin/s to be cleaned. The Customer also agreed that upon acceptance of the terms of and conditions of this Agreement that the Customer authorises the Bin Butlers to place a sticker on the Bin/s cleaned future identification purposes. The condition of the bin is the responsibility of the Customer and replacement stickers are at the discretion of The Bin Butlers. The Customer hereby releases and discharges The Bin Butlers from all claims, suits or actions for any loss or liability whatsoever arriving out of any failure by The Bin Butlers to provide the services referred to herein or resulting from the provision of such services in a negligent manner BUT if this clause is void pursuant to any legislative provision, then the liability of The Bin Butlers in respect to any such loss or liabilities shall be restricted to the cost of providing the cleaning services of this Customer. The Bin Butlers may increase the cleaning fee from time to time upon the giving of two calendar month notice of such increase. If the customer objects to such increase, the Customer shall notify The Bin Butlers of such objection within thirty days of the giving of the notice of the proposed increase, and this Agreement shall then end on the date on which the increase would otherwise have taken effect. If the Customer does not notify The Bin Butlers of an objection to the proposed increases with the time stipulated, the increase shall be deemed to have been accepted by the Customer and shall apply from the date stipulated in the notice of the proposed increases. The Customer must notify The Bin Butlers in writing of its intention to terminate this Service Agreement by providing at least one calendar month notice prior to the end of this Service Agreement of its desire to do so. If this notice is not provided to The Bin Butlers by the Customer within this period, this Service Agreement shall continue for at least the same term and frequency of this Agreement. Unless other duration is agreed the term of this agreement will be the Bin Cleaning Package which was purchased online. 12.1 GST Definitions: For the purpose of this clause: GST means GST within the meaning of the GST Act. GST Act means the New Tax System (Goods and Services Tax) Act 1999 (as amended); except where the contrary intention appears expressions used in this clause and in the GST Act have the meanings given to them in the GST Act. 12.2 Reduction in other taxes: (a) If the introduction of GST is associated with the abolition or reduction of any tax, duty, excise or statutory charge which directly or indirectly affects the net dollar margin of a supplier in respect of any supply made under this document, the consideration (excluding GST) Payable for the supply must be varied so the supplier’s net dollar margin in respect of the supply remains the same. (b) If requested, a supplier must provide reasonable evidence to demonstrate that it has complied with this sub-clause. 12.3 Amounts otherwise payable do not include GST: Except as provided in Clause 10.4 and where express provision is made to the contrary; the consideration payable by a party under this document represents the value of the supply for which payment is to be made. 12.4 Reimbursement of Expenses: If this document required a party to pay for, reimburse or indemnify against any expense or liability (‘reimbursable expense’) incurred by the other party (‘payee’) to a third party, the amount to be paid, reimbursed or indemnified is the amount of the reimbursable expense net of any input tax credit to which the payee is entitled in respect of the reimbursable expense (‘net expense’). 12.5 Payment of GST: Subject to clause 10.6 if a party makes a taxable supply under this document for a consideration which represents its value by virtue of clause 10.3 of the net expense by virtue of clause 10.4 then the party liable to pay for the taxable supply must also pay the amount of any GST payable in respect of the taxable supply at the time the consideration for the taxable supply is payable. 12.6 Tax Invoice: A party is not obliged under Clause 10.5 to pay the GST on a taxable supply to it, until that party is given a valid tax invoice for the supply. 12.7 Adjustment: If the amount of GST paid or payable by the supplier made under this document differs from the amount paid by the recipient as GST, due to an adjustment of the value of the taxable supply for the purposes calculating GST, then the amount paid as GST by the recipient must be adjusted by a payment by the recipient.